“Miss Stephanie” Young is an exemplary community partner at Paul Banks Elementary School in Homer, Alaska. The kids call her “Miss Stephanie,” and she cares deeply about the students and staff of Paul Banks Elementary, and the community of Homer. A skills trainer through The Center, Miss Stephanie has a firm but gentle way with her clients and the students she serves at Paul Banks. She is always kind while simultaneously providing rigorous support. She is one of those people who bring out the best in not only the students, but the adults around her. She is always positive and supportive. 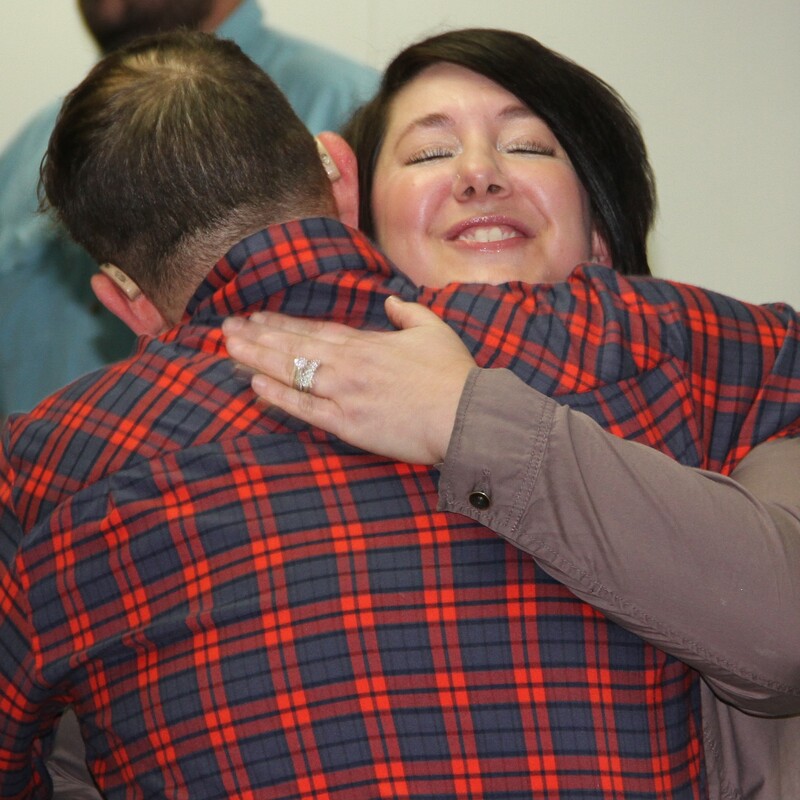 Miss Stephanie goes beyond normal expectations in many ways, for example, by donating her lunch hour to support a teacher meeting with a parent. She gives her clients extra attention because they really need it, and she lends a hand wherever it is needed. Stephanie takes time to think things through, wants to brainstorm about what is working, and what might work for her often very difficult clients. Due to student confidentiality, we cannot share specific stories, however, staff members say, “She is always willing to meet, even on her own time and has excellent ideas to share. When things are not working, Stephanie stays patient and supportive of both the students and staff, and works together with us to find solutions.” Often staying after the school day, she will meet with students and teachers to better meet the needs of students. When she has down time from her work she supports other families in need, and provides support beyond her duties as a Skills Trainer on her own time, doing things such as helping to create manipulatives, activities, and schoolwide activities. Outside of the school, Stephanie helps out with church activities and has been a foster parent. For many years, she helped with youth groups. Youth group is a place for kids to come together to sing, and to play sports and other recreational games. Through community service projects they make it a point to visit and sing at Long Term Care several times a quarter. She also helps with the Truth Seekers program. 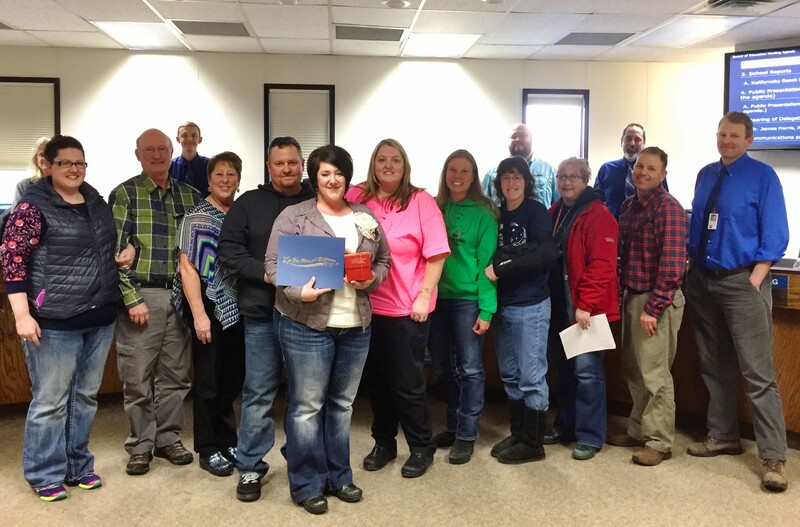 The Kenai Peninsula Borough School District Board of Education is proud to recognize “Miss Stephanie” for her dedication to the students of the school district, past, present, and future. This entry was posted on March 6, 2017 at 7:18 pm. You can follow any responses to this entry through the RSS 2.0 feed. You can skip to the end and leave a response. Pinging is currently not allowed.